Learn more about ethics in counseling. Home | Blog | Articles | What are ethics in counseling? What are ethics in counseling? There are ethics that govern just about any profession, from medicine and business to the arts. 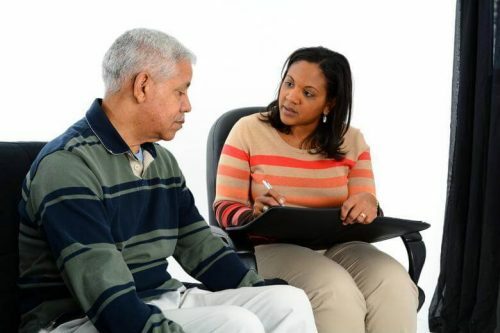 Counseling is no different, having a robust code of ethics that those in the field must abide by. Given the often sensitive and deeply personal topics that are discussed between client and counselor, confidentiality is key. Yet the ethical considerations for counselors hardly end there, as a number of other situations may arise and test a counselor. For instance, what if a client divulges information connected to a crime or instance of abuse? What does a counselor do then? Becoming as familiar as possible with the ethical issues in counseling will help prepare students for the real-life demands of the profession. Not only do counseling ethics apply to the relationship formed between client and counselor, they are also relevant in interprofessional relationships between counselors, research and publishing, professional responsibilities, and even counselors’ use of social media. Observing and upholding ethics in counseling is of the utmost importance to students, who can learn more about ethics by earning an online Master of Arts in Counseling from Bradley University. The program at Bradley is designed to produce skilled counselors, as well as responsible professionals who understand the ethics of counseling. For more on what those ethics entail, read on. The spectrum of counseling ethics is expansive. As mentioned, ethical issues cover a large number of topics like potential interactions, disclosures, relationships (both with the client and other counselors), as well as ethics for functional elements of the job like conducting and publishing research. Perhaps the most important ethical concerns stem from the relationship between client and counselor. Above all, the ACA notes it is “the primary responsibility of counselors … to respect the dignity and promote the welfare of clients.” This is the guiding principle in counseling relationships ethics. For instance, ethical dictums like avoiding harm, managing boundaries, maintaining cultural sensitivity, obtaining informed consent and being part of a support network are all aimed at protecting and promoting clients. Ethics in this area also touch on prohibited noncounseling relationships, like those of a sexual nature. 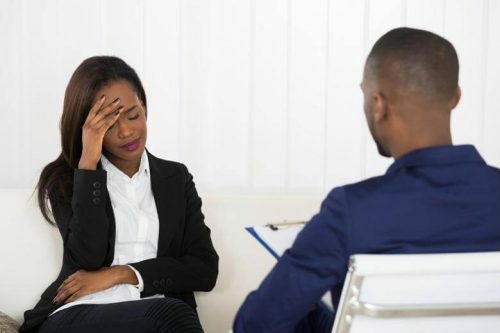 They also address operational issues like client nonpayment, absence or termination, since counselors need to be just as knowledgeable in such situations. These are two bedrock ideals to the practice of ethics in counseling, and both are thoroughly discussed in the ACA. Respect for privacy and confidentiality are paramount in the counseling relationship, but there are certain events that will call on counselors to use their best ethical judgment. The ACA notes, for example, that should a client say something with legal or harmful implications, a counselor will have to determine whether it should be reported to others. The connected nature of care is also a topic in this area. Sharing information with colleagues and other professionals involved in a client’s care is important to the client’s health and well-being, but what can counselors share with others? This section goes through the ethical issues of interdisciplinary teams, recordkeeping and resistant clients. Professional practice, and how continuing education, certification, accreditation, licensure and accountability all factor into the ethical implications of the practice of counseling. Evaluation, assessment and interpretation, or how counselors must approach their client interactions through an objective lens to accurately diagnose, advise and act in a professional capacity in legal proceedings. Supervising, teaching and training, which demonstrates how supervisors and instructors must take responsibility for their students while adhering to the standards of teaching. Research and publication, and how counselors must consider the rights of clients and research participants in disclosing results, as well as the ethical demands of publishing honest and undistorted research. Technology and social media, which both play an increasing role in modern counseling relationships, necessitating that topics like security and distance counseling be included in the manual. Resolving ethical issues, and how counselors comply and cooperate with investigations, as well as protocols for reporting and resolving conflicts of interest. Ethics hold a central importance in counseling, and the Bradley curriculum reflects that by weaving ethics into multiple courses. Family, substance abuse, marriage and veterans counseling all have different ethical issues, and in learning about those specialties, students are exposed to ethical practices and how they must uphold expectations for responsibility and care. Students in the online MAC program also take ENC 622 “Counseling: Ethics and the Law.” This course examines ethical standards, credentialing bodies, ethical decision-making, critical thinking and how all these ethical concepts intersect with the law. Want to learn more about Bradley and how you can gain ethical insight from a graduate education? Contact an enrollment advisor for more information about the online Master of Arts in Counseling program and how you can apply.